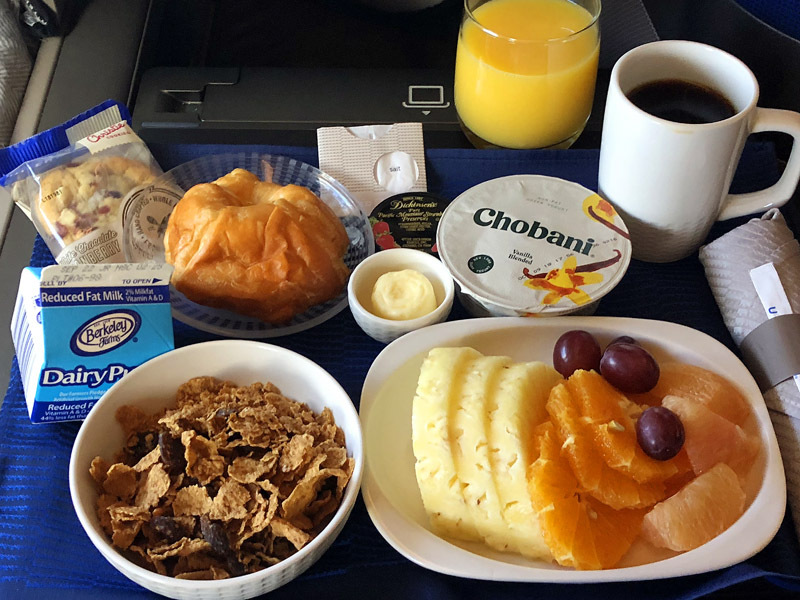 You thought it beneficial to show an in-flight meal when you boarded Narita route in September to the regular readers of the blog written in Japanese. It took off from the 28L runway as always. 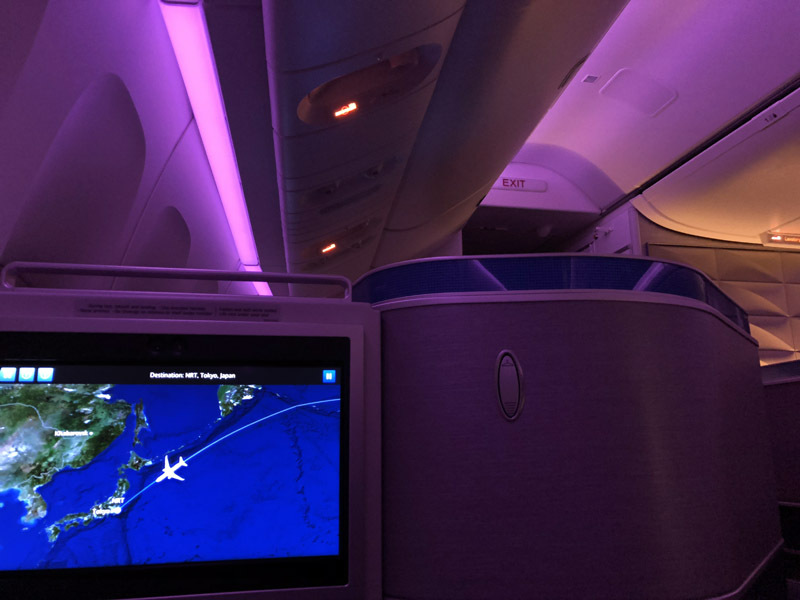 The departure was several minutes earlier than scheduled time thanks to the scrupulous Japanese passengers. The seat which you got is Shin Polaris 3A of your favorite. The amenity has already been all prepared on your seat. However, there were no pajamas because it was the flight within 12 hours, wasn’t it ? 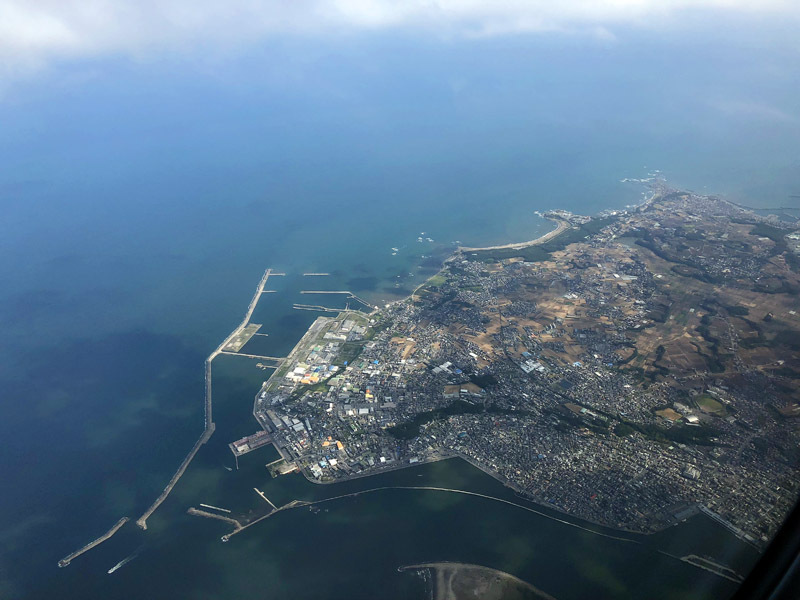 It took to the air over the Pacific coast. 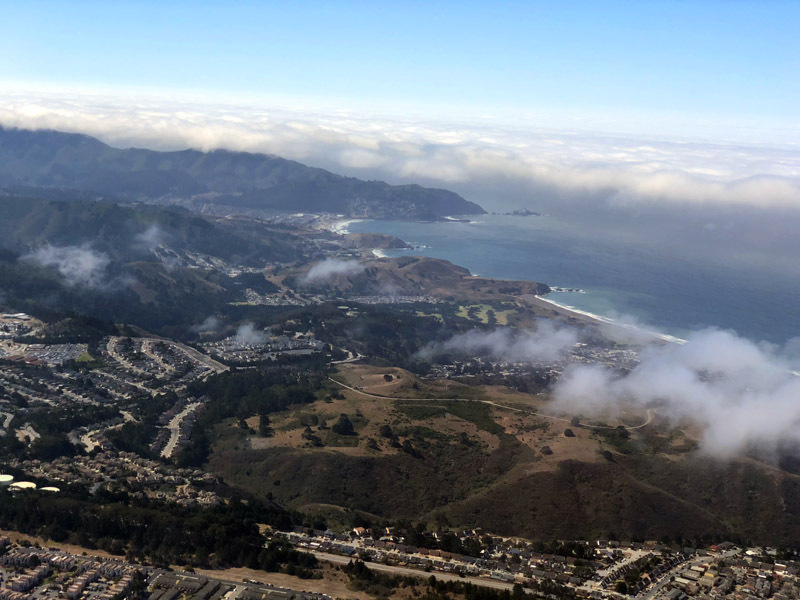 You could see from the Daily City to the Pacifica of the Pacific coast. Because it was at 11:00 a.m., fog is going down towards the sea. It’s good for you the SF peninsula enjoys the same climate all the time from early summer to late fall. You showed the Japanese food which you made a reservation. Since they made mistakes of a reservation twice, they paid you a voucher a lot this year. The jelly of the tomato seems novel for UA’s Japanese food. The combination of the raisin and food boiled is kind of mysterious. Though, there is not any sense of incongruity, right ? You put dishes vertically for the signal, “I’ve already eaten”, which may be a bit impolite, but next items arrived immediately. The rice of the day was not cooked white rice but takikomi gohan. You were disappointed a little since you don’t personally like salmon. Though, you admitted United chases a sense of the seasons for the time being. 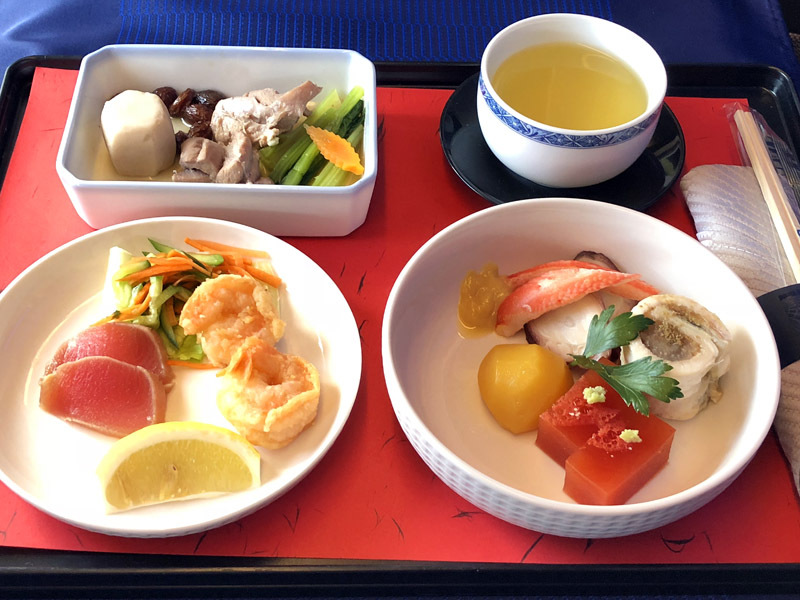 Thank you for reporting Japanese cuisine on United 837 SFO/NRT 2018 Sep. 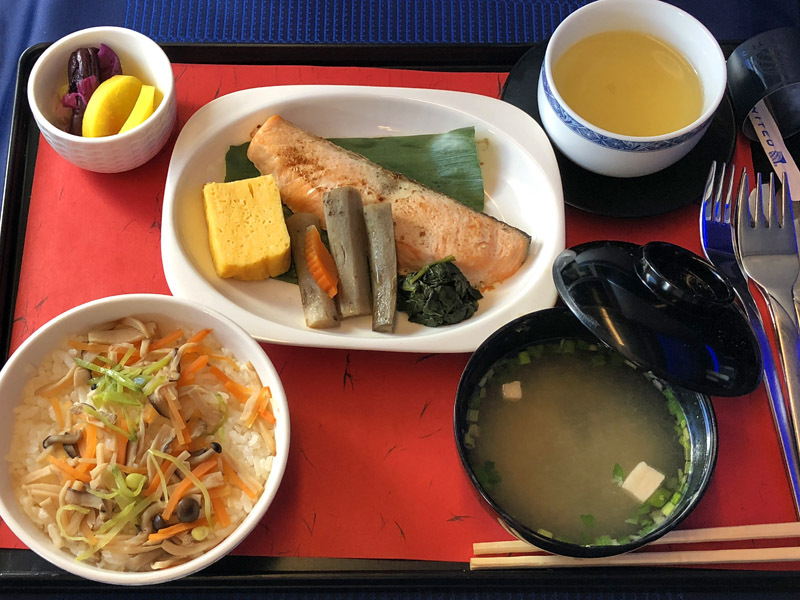 Reporting the Japanese meal on United Polaris® Business class must be very fruitful for potential Japanese passengers to avoid United because of this very unimpressive, weirdly arranged Japanese-like meal will be served. 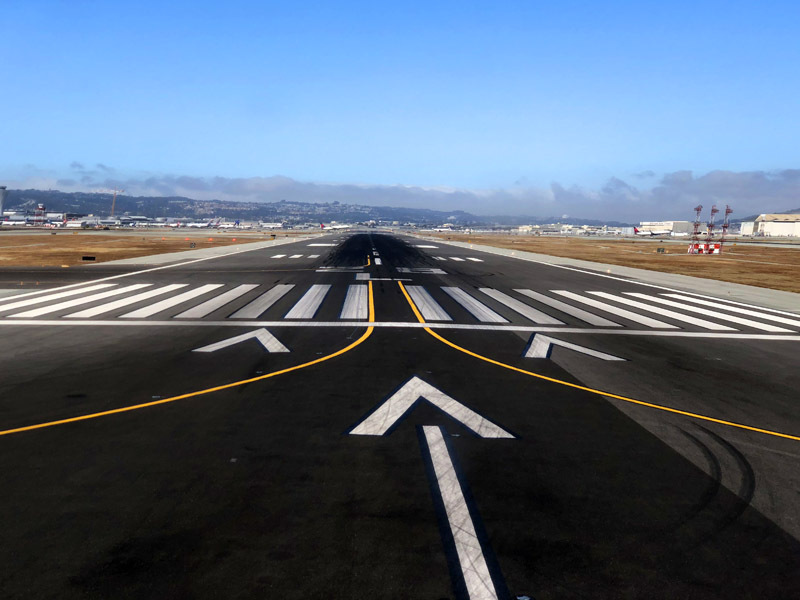 Therefore I am indirectly recommending booking ANA, then ultimately quitting MileagePlus®. 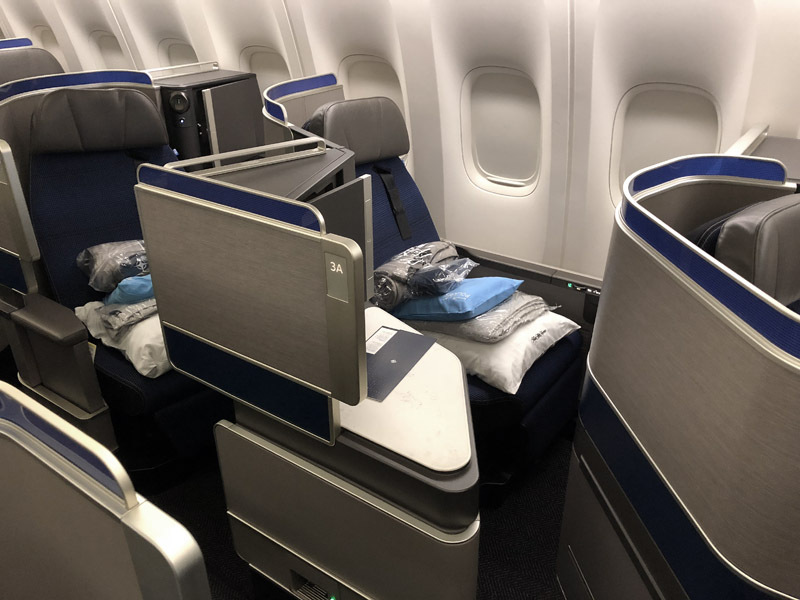 However, if someone already sold his/her soul to United like me, have to keep flying by United and it would be productive information to know the recent changes or degradation of in-flight meals by United, hence this is such a good reference for the decision making whether book Polaris Business or not. And thank you for translating my Japanese document for those who learned English without communicating real English speakers. If I had a copy of RightWriter®, I would be able to evaluate your translation but I expect it is easy to understand for Japanese over 50 with bachelor’s diploma. But I’m afraid to say this translation is devastating for me because it’s killing all of humorous and cynic nuances, everything went very straightforward. No wonder you use International English for medical studies and reports, hence you don’t have to stay in real English speaking world 24/7 with some jokes and witty comments… sorry for this sour reply. 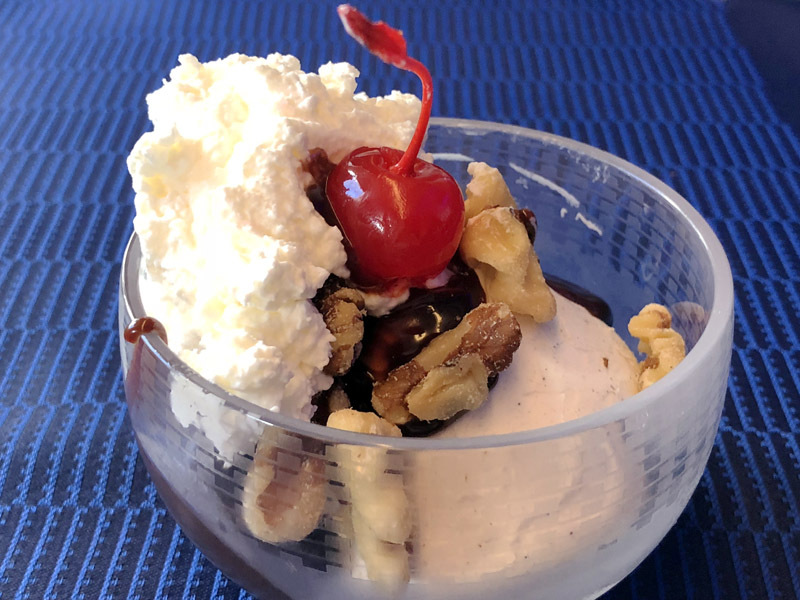 Only edible thing on the UA Premium aka Pseudo cabin are: their warm nuts, pseudo Thai ish chicken noodle, fruits and ice cream, IMO. I am keeping Mileage Plus but will go back flying with the Nice Helicopter company. 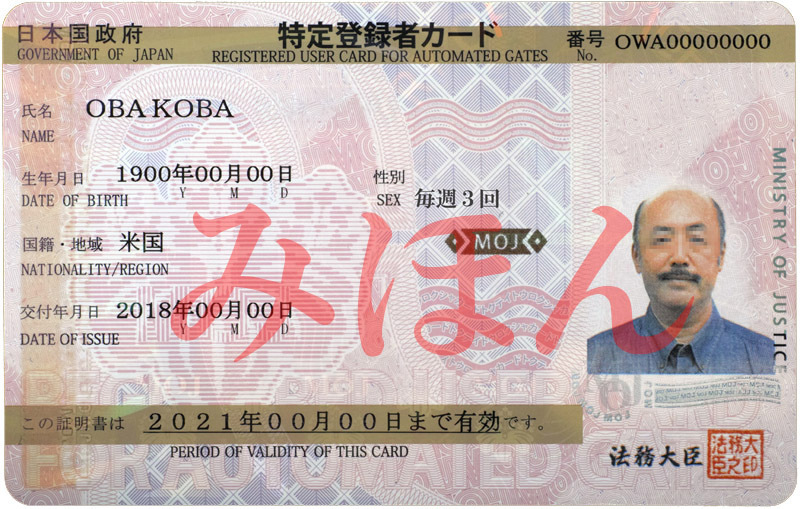 By the way, why did you opt-in for the global entry Japan scheme? Their latest face recognition entry is effortless and usually no queue. Or you just wanted a card? That was interesting for me the word you used ‘pseudo’ was a technical term for me when I was a holographer and a researcher at MIT. I was studying and researching the pseudo images by using the infringement of coherent lights. On the UA in-flight meals, warmed nuts are their signature but now it’s completely degraded; only includes almonds and cashews… and the “Thai-ish chicken noodle” you mentioned supposed to be their Spicy Chicken w/Udon noodles and Thai-style curry sauce, I guess. That one is getting more common for the chicken options instead of that disgusting rosemary chicken breast. Amongst those chicken dishes, a dish of Spicy chicken noodles is the best, IMHO. And if you didn’t sell your soul to United yet, as well as you keep your eligibility in Japan, I totally agree with you wish to go back to NH. Lucky you. For those several years, I was making long line, wasting an hour or two at the Gaijin Gyoretsu in NRT, I really envied that autogate where nobody go thru there. Finally, I saw the news MOJ of Japan started accepting U.S. Global Entry users so I simply applied it. I expect the autogate is the fastest way to go thru the passport control, and the best part is; No stickers/stamps will be placed on my passport so that I can save the space of my passport which is a thicker version, 52 pages total, but already the half of the visa pages are used within 3 years, and I don’t want to go to a post office to ask additional pages. Oh, make sense, I forgot you are non-J-passport holder. I am wishing for J to allow dual citizenships but might come after my time. I feel this is very unfair, not equally treated. Bunch of former Japanese who are well talented, Novel prize awarded Dr. Tonegawa at MIT for example, was Japanese but converted to the US citizen. I’m not such person, but Japan is obviously losing important people by such strict-but-not-properly-enforced law of nationalities.